Stowe Mountain in January. Photo courtesy of Ursa Major. The duo behind Ursa Major, one of our favorite natural skin care lines, works and plays at the foot of Vermont's highest peak, Mt. Mansfield. 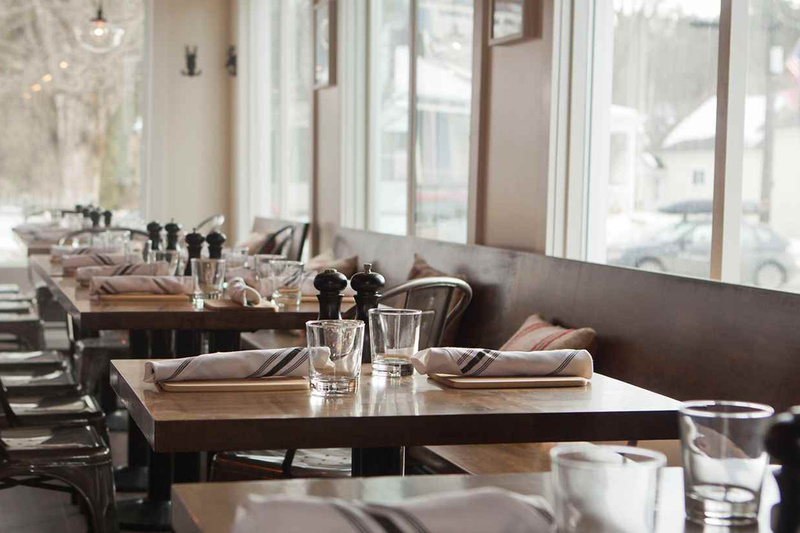 Emily Doyle and Oliver Sweatman share their favorite places to eat, drink, and hit the slopes during ski season in Stowe. STOWE, Vermont – Over five years ago, we moved to Stowe from New York City to spend more time outdoors and to live in a smaller community where we could launch our natural skincare line, . The town is low-key and the people are friendly, so it's easy to incorporate outdoor activities, like a morning ski run, into our daily routine. We love when friends come to stay. Playing host gives us a good excuse to visit favorite haunts and experience them through new eyes. These are the spots, new and old, that we look forward to revisiting each winter. From left: cross country skiing; Slayton Pasture Cabin. Photos courtesy of Ursa Major. 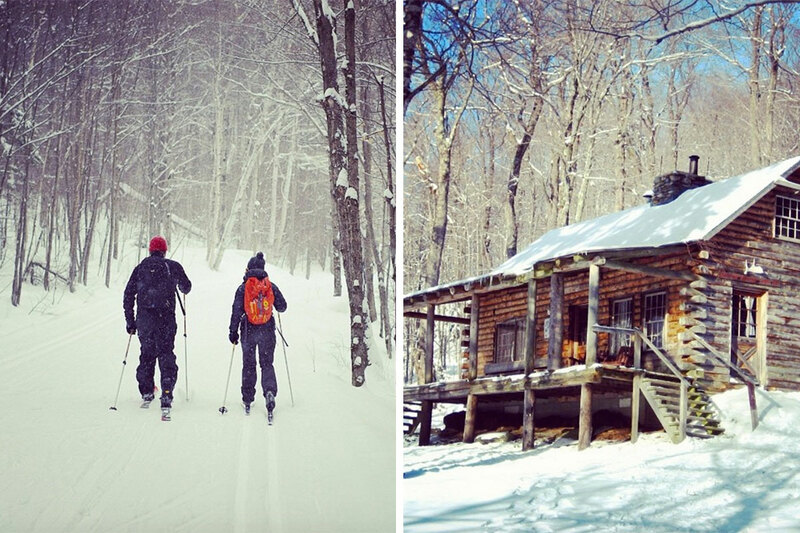 Snowshoe or cross country ski to a rustic cabin deep in the woods. From the ski center at it's a three-mile journey. Order a hot cider or soup before zooming back down for a cold Trapps beer at. If you're in town in late February, don't miss the epic, mostly downhill race. It's the oldest of its kind in North America — 20km. from start to finish. Winners usually finish at a speedy pace of around 45 minutes. Two thousand vertical feet of semi off-piste rollicking fun — if you're up for it. Finish at for pizza and beer. Head to SV if you want to get away from it all ... either on backcountry skis or snowshoes. Look for the Sterling Forest Trail Network. Our favorite cruiser run at Stowe Mountain Resort. It catches the sun all day long and the gondola keeps the crew warm on really cold days. 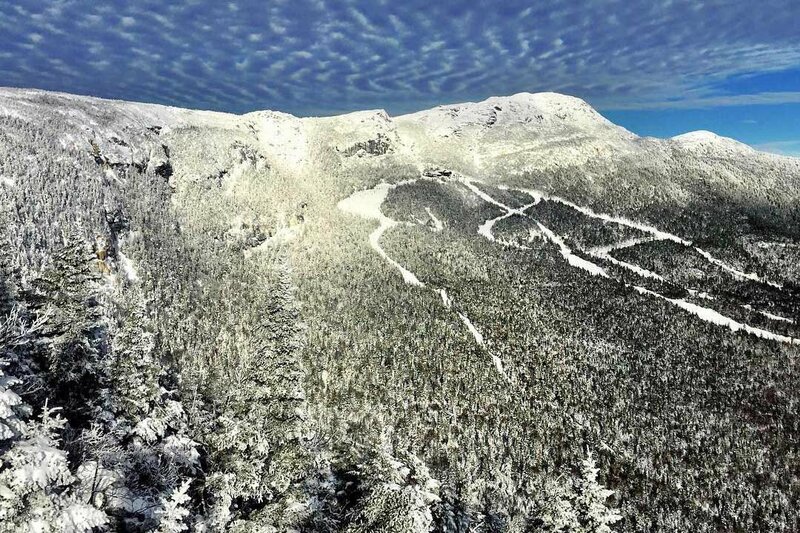 Our favorite expert trails at Stowe Mountain Resort. Hit all three if your legs can take it. From there, move to Stowe's (in)famous Front Four: Liftline, National, Goat, and Star. Stowe's best souvenir shop. 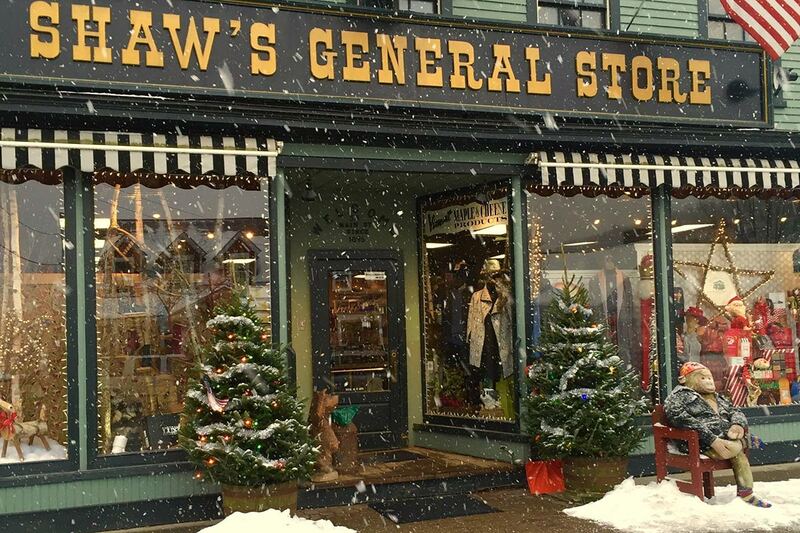 Photo courtesy of Shaw's General Store. Who doesn't like a great Swedish massage in the winter? This is the place to go if you want to chill outdoors in a hot tub and get a rub down. Family-owned since well before you were born. When cabin fever sets in, stop by for souvenirs like maple syrup or Stetson hats. This might be the nicest indoor lap pool in Vermont. Plus, there's a gym if you're into lifting or spinning. The dining room at Plate. Photo courtesy of Plate. Our top pick for dinner in town. Local Vermont flavors meet healthy, California-style cuisine. The welcome newcomer caters to locals and visitors alike. From bulk almonds to Ursa Major products and espresso, stop in to load up on healthy snacks, our nautral skin products, and other supplies for the car or cabin. Head north ten miles and leave the Stowe hubbub for Morrisville, and a delicious Belgian-style beer and a mean burger. A wine bar with a focus on natural wines and tasty bites for lunch and dinner. It's a fun place to discover new flavors — if you find something you love, buy a bottle to bring home. Oliver and Emily are the co-founders of , an all-natural skin care company based in Waterbury, Vermont. You can follow their adventures living and working in the Green Mountain State on , , and . They travel for the opportunity to unplug from work and to get lost in another place and time.